Say goodbye to chopping and slicing with this 1250W, 1-litre capacity, juice maker. Just pop the whole fruit into the extra-wide, patented feed tube and this juicer will transform it into luscious, fresh juice in seconds. 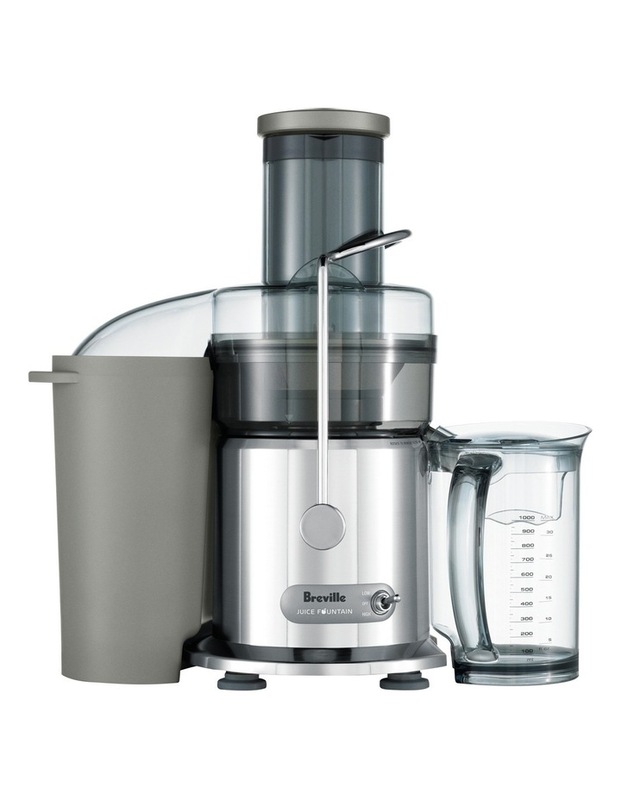 The Breville Juice Fountain Plus BJE410 has a patented filter, which extracts as much juice as possible from fruit and vegetables, and it automatically ejects the pulp. It also has two speed settings, an easy-clean design and a metal finish. Includes 1 year replacement with 5 year motor warranty.